Activate only as Chain Link 4 or higher. Pay half your Life Points. 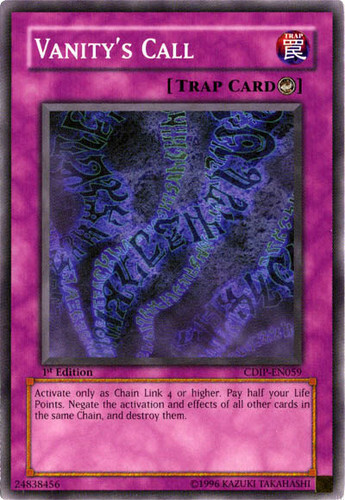 Negate the activation and effects of all other cards in the same Chain and destroy them.